The Best Caregiver blogs from thousands of top Caregiver blogs in our index using search and social metrics. Data will be refreshed once a week. Caregiver newsletter is a comprehensive summary of the day's most important blog posts and news articles from the best Caregiver websites on the web, and delivered to your email inbox each morning. To subscribe, simply provide us with your email address. San Francisco, CA About Blog Caring for seniors doesn't have to be this hard. Make it easier with free, practical tips that solve everyday challenges. We help you Discover, Know, and Do. Facebook fans 11,266. Twitter followers 3,461. Chicago, IL About Blog At CareGiving.com, we care for you as you care for family members through our blogs and daily chats. We support you before, during and after caregiving. Facebook fans 5,855. Twitter followers 30,013. New York, NY About Blog Created by caregivers, for caregivers. This is a safe space for people from around the world to talk about everything caregiving. From the good to the bad and everything in-between. Facebook fans 164,572. Twitter followers 7,810. Marietta, Georgia About Blog This site was created by Elizabeth. HappyHealthyCaregiver.com is for family caregivers who feel isolated and overwhelmed by all their responsibilities and want help integrating caregiving with their life.The Happy Healthy Caregiver Community contains all the tools and resources a caregiver needs to avoid burnout.Our mission is to help caregivers all over the world become happier and healthier. Facebook fans 1,440. Twitter followers 1,693. New York About Blog The Caregiver Warrior community is a place for caregivers to embrace their journey with grace and empowerment. The Caregiver Warrior blog offers advice, helpful tips, and strategies in weekly blog posts based on the experience, strength, and hope I found while surviving my caregiving journey. Facebook fans 298. Twitter followers 2,774. Los Angeles, CA About Blog Resources and tips for caregivers and older adults.Caregiving Made Easy is my little corner of the web where I share what I learned after years of working with #caregivers and their #aging parents. I hope my insight will help other caregivers on their journey, no matter how long they have been caregiving. Facebook fans 124. Twitter followers 1,443. Rockville, MD About Blog Make informed caregiving and home health care choices for your loved ones. Read the latest research for caregivers on caregiving. Facebook fans 1,757,704. Twitter followers 218,440. Arlington, VA About Blog Caring Village is the premier provider of products and services for caregivers of older and infirm patients. Find insightful articles and helpful resources.Our Mission is to empower families to take control of their loved ones’ care, improve their quality of life and obtain peace of mind. Facebook fans 17,519. Twitter followers 619. San Francisco, CA About Blog FCA, as a public voice for caregivers, shines light on the challenges caregivers face daily and champions their cause through education, services, and advocacy.The services, education programs, and resources FCA provides are designed with caregivers’ needs in mind and offer support, tailored information, and tools to manage the complex demands of caregiving. Facebook fans 5,449. Twitter followers 4,858. San Francisco, CA About Blog A sub focused on caregiving for seniors. If you're a caregiver looking for support, you can also check out /r/caregivers, /r/caregiversofreddit, and /r/CaregiverSupport. Facebook fans 1,165,982. Twitter followers 524,996. United States About Blog Caregivers provide help to people in need whether they are an adult, parent or spouse or a child with medical needs - some caregivers are family members and others are paid. Caregivers might shop for food, cook, clean the house, pay bills, give medicine, help the person get dressed or bathed, and provide support. Caregiving can be very stressful. Facebook fans 226. Twitter followers 79,913. Seattle, WA About Blog This blog of A Place for Mom Caregiver gives all the information and tips required for a caregiver. Facebook fans 297,203. Twitter followers 13,464. Facebook fans 1,595. Twitter followers 556. About Blog Home Care Assistance Caregiver Burnout blog gives needful information to caregivers about caregivers burnout, how to handle caregivers stress, caregivers guilt, mindful exercises to relieve caregivers burnout and much more. Facebook fans 9,322. Twitter followers 715. Chicago, Illinois About Blog Caregiverlist provides the premiere service connecting seniors and professional caregivers with the most reliable eldercare options, highest quality ratings and outstanding careers nationwide.Caregiverlist blog provides all the necessary information needed by a caregiver. Facebook fans 1,376. Twitter followers 7,559. About Blog Strength for the Caregiver shares the real-life stories of family caregivers to help you find strength on your caregiving journey and help you realize you’re not alone. From laughter to frustration to joy, this blog offers an honest expression of the many emotions caregiving can bring. Facebook fans 20,920. Twitter followers n/a. Cincinnati, OH About Blog Home Helpers provides in-home care services and assistance for elderly, developmentally disabled, new moms, and post-surgical patients including medical alert systems. This blog provides necessary information needed for caregivers. Facebook fans 8,465. Twitter followers 1,795. Clearwater About Blog EasyLiving is an affordable home care and care management agency located in Clearwater Florida. With over 20 years advocating for the rights of seniors and their families in Pinellas County FloridaExperience the EasyLiving difference: flexible, high quality, personalized home care delivered according to your needs and desires. Its blog provides needful information for caregivers. Facebook fans 1,122. Twitter followers 1,328. Waltham, MA About Blog Community Home Health Care is the leading provider in home care services in New York. Their blog gives caregiver tips for caregivers like healthy outlet ways to relieve caregiver burden, tips to handle caregiver stress, ways which help caregiver to stay motivated and much more. Facebook fans 2,346. Twitter followers 861. Nashville, TN About Blog Kim Campbell's CareLiving is your companion and guide through the journey of caregiving. Care for yourself while caring for others! Facebook fans 10,793. Twitter followers 5,729. About Blog The Caregiving Club offers consulting services and educational content with a message to empower caregivers to prepare to care. Caregiving Club mission is to improve the health and wellness of family caregivers nationwide by raising public awareness for caregiving and providing practical information to caregivers via expert advice. Facebook fans 496. Twitter followers 1,569. Denver, CO About Blog Providing insight and information to adult children of aging parents so they may "thrive and find joy" in every stage of life! Facebook fans 937. Twitter followers 5,889. Palo Alto, CA About Blog StarLight CareGivers, Inc., based in Palo Alto, provides compassionate non-medical care services for seniors so they can age safely at home and avoid costly facilities. This blog provides information about Senior Care Caregivers and caregivers for disabled people. Facebook fans 107. Twitter followers 106. Destin, Florida About Blog Tena Scallan is a passionate healthcare professional, business owner, consultant, and published author with over 25 years of experience in the health care industry.Tena has dedicated her life's work to serving others in hospitals, running her own in-home caregiving agency, and providing consulting and guidance for family caregivers. Facebook fans n/a. Twitter followers 2,329. Facebook fans 2,963. Twitter followers 1,321. About Blog The Family Caregiver Council was born from a desire to look at these issues in a collaborative, meaningful way, providing support and resources so caregivers won’t become overwhelmed. Comprised of leaders from 13 national family caregiver organizations and other experts, we’ve combined our resources to support family caregivers more effectively than any of us can do alone. Yorkshire About Blog Carers’ Resource gives tailored support and information to unpaid carers and vulnerable people. It also provides information, advice and support to carers, to the people they care for and to professionals who work with them. They also share many carers stories which will help carers. Facebook fans 1,079. Twitter followers 2,285. About Blog Carers Club exists for you. Our aim is to be useful, we’re here to give you clear, simple, straight forward advice and support about your caring journey or the journey of someone you know who is providing essential care. About Blog The purpose of this blog is to gather information about how to support caregivers of children. The quality of the caregiving relationship in infants and young children, central to the healthy development of the growing child, can be enhanced by attention to the caregivers in the form of education and other support. This blog will become an archive for information on these issues. Penticton, British Columbia About Blog A community for caregivers, designed and informed by caregivers. Elder Care Support For Care Providers. The leading eldercare, education and advice blog on the internet. We have books, resources and blog posts for your information. It is About Being Connected. Facebook fans 376. Twitter followers 3,970. Colorado, USA About Blog I’m Pamela D. Wilson, caregiving expert, advocate, and speaker. I help caregivers manage the emotional turmoil of caregiving situations. Here are some of the Caregiving Tips of the Caring Generation to help senior caregivers, family caregivers, and more. Facebook fans 551. Twitter followers 336. About Blog Advocate for Mom and Dad is the collective wisdom, resources, and guidance of people who have cared for their own parents, gathered into an easy-to-understand and easy-to-use website. Here you will learn from the experience of others how they handled challenges on topics such as legal, financial, insurance and caregiving issues, with links to helpful resources. Facebook fans 229. Twitter followers 330. About Blog Hi, my name is Stacey, the creator of A FIT Caregiver. I was a home caregiver for over 30 different families in southern Illinois for three years and a certified nursing assistant for six years. It took many years to figure out caring for others and educating them, being there for them is what inspires me and what makes me the happiest. So I started this community of caregivers to help other with tips, inspiration and to feel there very best while caring for others. Facebook fans 2,043. Twitter followers 804. About Blog Welcome to takingcareofgrandma.com! takingcareofgrandma is my platform for sharing my personal journey in caregiving and practical advice for caregivers.I have been supporting my grandma to age in place as her primary caregiver for about two years now. I have to share what I’ve learned with everyone. I just can’t keep it to myself. I will be sharing my own personal experiences. About Blog Caregiver Support Services (CSS) creates benchmark programs and service solutions for family caregivers and direct-care workers. Indian Mound, TN About Blog Caregiving Advice from a professional care giver that worked in the system. I am going to tell you what the agencies and institutions with thier perfect tours will not tell you. Only caregivers know the reality of these institutions. Caregiving your family members is a path that is both beautiful, rewarding and heart wrenching. Facebook fans 659. Twitter followers 232. About Blog This blog is run by Carers Trust Policy Team. Together with our Network Partners, we provide support, information, advice and services for the millions of people caring at home for a family member or friend. Facebook fans 6,949. Twitter followers 34,466. About Blog CaringOn is a non-profit organization that provides a way for patients with advanced cancer to say “thank you” to their primary caregiver. The site also contains different caregivers stories, how to nominate a caregiver, how to support a caregiver and much more. Facebook fans 674. Twitter followers 36. Queens University of Charlotte About Blog The Unprepared Caregiver Website speaks to the special challenges and rewards of caregivers who care for loved ones when a cure may not be possible. The goal of this site is to provide first-hand caregiver insight and expertise, much-needed knowledge about the psychological and communication challenges of the caregiving experience. Facebook fans 3,505. Twitter followers 73. About Blog In home care, assisted living, care management, elder caring: we help families make decisions about elder care and senior care. This blog provides necessary tips for caregivers. About Blog We are from a family of five girls.Our oldest sister, Colleen, died of cancer at the age of 39. We are sharing our story and experiences in caregiving and grieving in the hopes that other siblings and young adults will find this website a relevant source of information and connections. Facebook fans 183. Twitter followers 91. Facebook fans 102. Twitter followers 545. About Blog We are devoted to continually improving and supplying you with caregiver information and counseling. Follow us today to improve your skills as a caregiver. Facebook fans 82. Twitter followers 1. 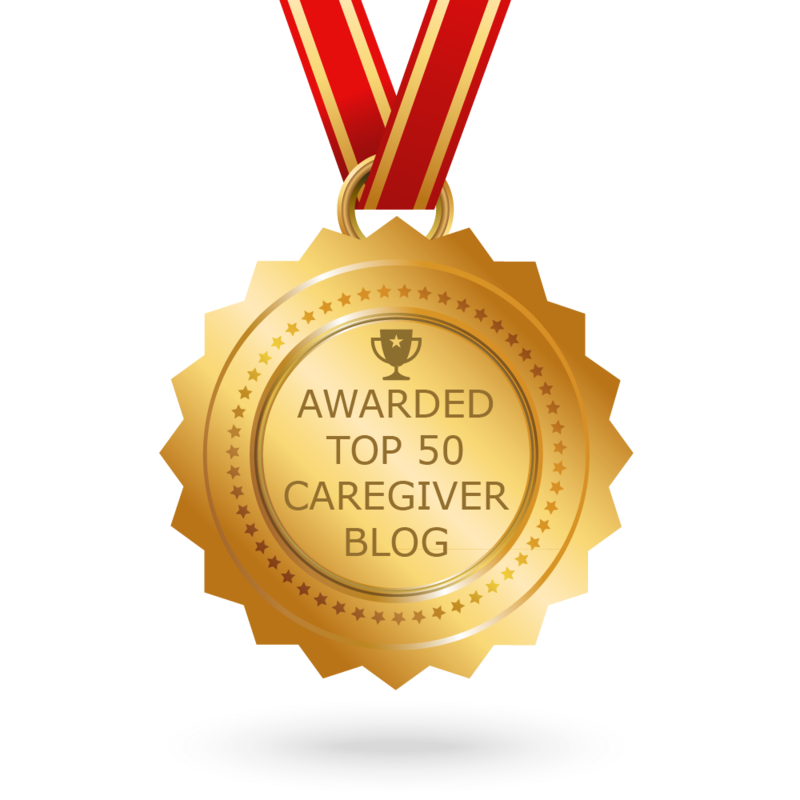 CONGRATULATIONS to every blogger that has made this Top Caregiver Blogs list! This is the most comprehensive list of best Caregiver blogs on the internet and I’m honoured to have you as part of this! I personally give you a high-five and want to thank you for your contribution to this world.